There’s a world of ‘invisible’ talent waiting to be discovered. The challenge for hiring managers is to tap the talent pools that are often overlooked in traditional candidate sourcing platforms. “On one side, we fail to identify willingly capable workers, and on the other side, we fail to provide engaging opportunities to the workforce,” said Shaakun Khanna, a digital HR transformation leader. “Organizations do not intentionally overlook talent. However, this tends to happen because the world of work is changing and “organizations are not equipped with the right technology to keep up with the changes,” he told HR Tech News. Khanna, who is head of HCM applications (Asia Pacific) at Oracle, sees companies struggling to hire the right people because they don’t know what to look for in talent. He recommends the technique of “social sourcing” the way Oracle hires its own talent. “This allows us to search for talents not only based on their qualifications or work experience, but based on what they are most engaged in,” he said. These can be their interests, communities, hobbies, and advocacies, which provide hiring managers a more holistic assessment of their potential hires. This happens when a company fails to recognize the merits of their own workers. “Outside the organization, people are able to see something in their employees that [the current employers] are not able to see themselves,” Khanna said. This is where HR technology comes in “to start aligning employee career goals, skills, and capabilities to other job opportunities within the company,” Khanna said. One prime example is professional networking site LinkedIn, which readily presents a person’s credentials, achievements, awards, interest groups, volunteer work, and other projects with their connections and even potential employers. Khanna predicts the next wave of HR tech will mirror the interface of social media. 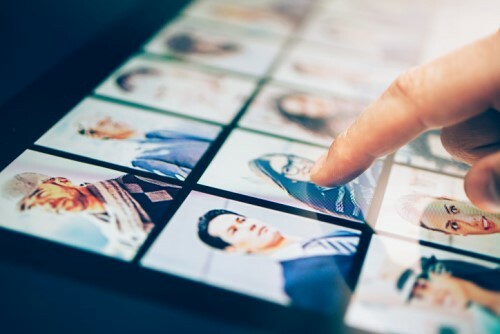 This shift enables recruiters to connect with invisible talent that would otherwise go unnoticed in outdated platforms. “From personalized updates in a newsfeed-style interface, to proactive training recommendations derived from data, to automated chatbots that offer quick answers to HR questions, the next wave of workplace technology is set to revolutionize how businesses attract, retain, and engage talent,” he said.